VeriCite DocumentationUser GuidesCanvas User Guide LTI Integration - Student ArticlesHow do I view all of my VeriCite LTI assignments as a student? Students may view all assignments for a given course from the Assignments page in VeriCite LTI. 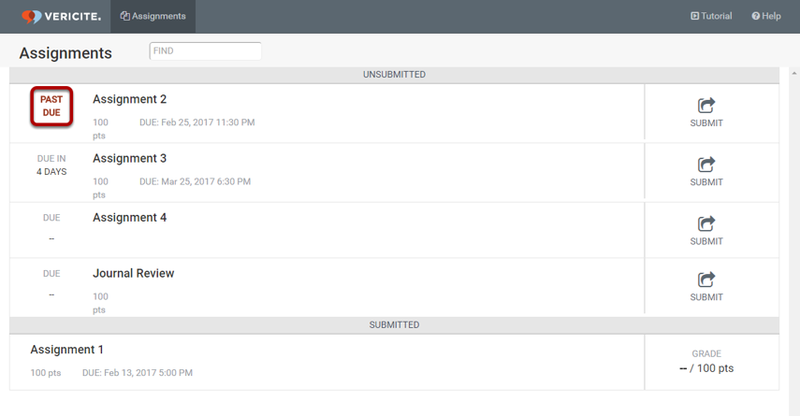 Note: The assignment link within a course typically takes students directly to the submissions page for a specific assignment. 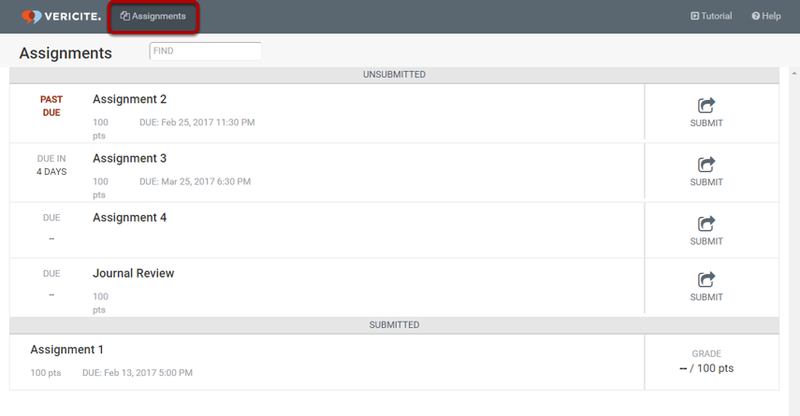 Click on the Assignments link in the top navigation bar. 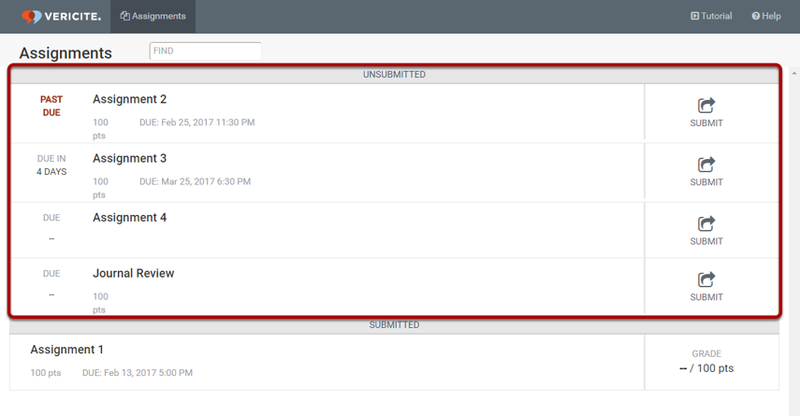 Zoom: Click on the Assignments link in the top navigation bar. 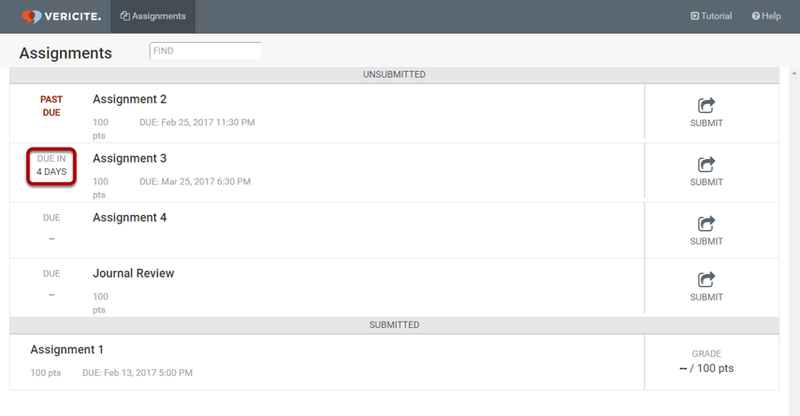 Assignments that have not yet been submitted will appear listed at the top of the screen in the Unsubmitted area. 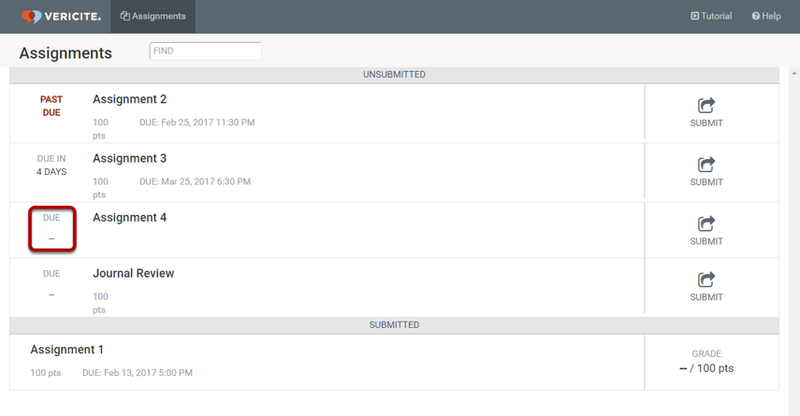 The bottom part of the screen lists assignments that have already been submitted in the Submitted area. 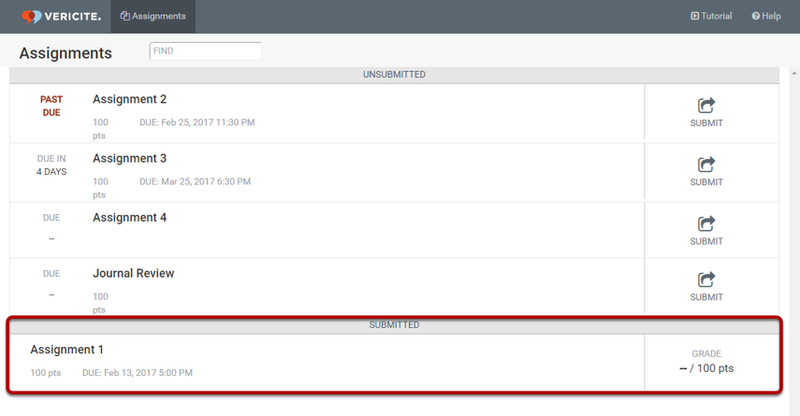 If an assignment due date has passed, the assignment will display a Past Due notice. Upcoming assignments will display the number of days until they are due. If an assignment does not have a due date, you will see -- instead of the number of days until due. Click Submit to go to the submission page for that assignment. Zoom: Click Submit to go to the submission page for that assignment. Prev: How do I view and navigate my VeriCite LTI report as a student? 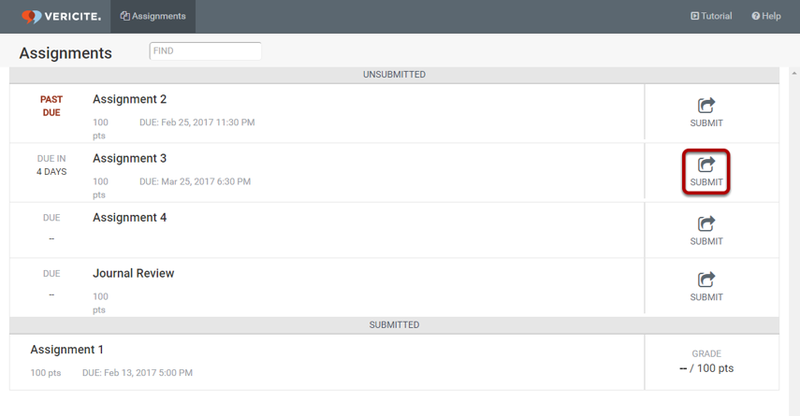 Next: How do I submit multiple files to a VeriCite LTI assignment as a student?